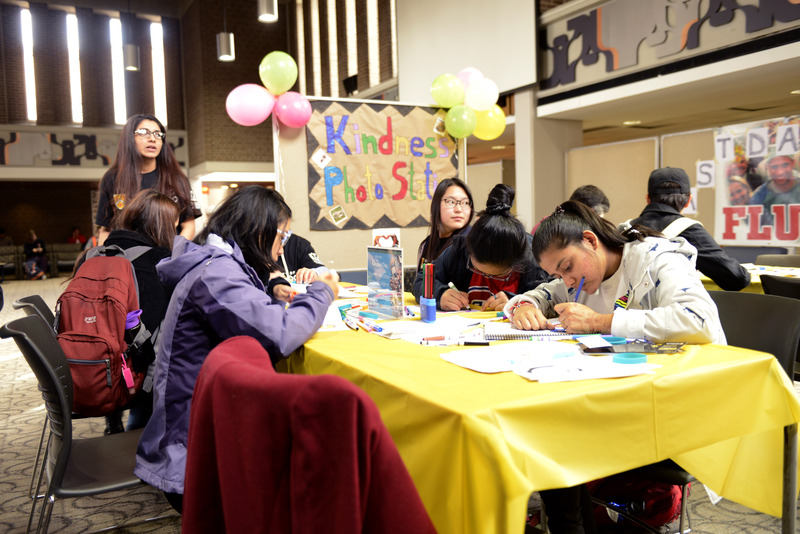 The first Friday of November marked Random Act of Kindness Day and saw the SLC filled with volunteers spreading cheer and promoting positivity for the third year in a row. Courtesy of the Renison English Language Institute, students could enjoy multiple stations meant to help them de-stress in their own way. One station was dedicated completely to colouring pages, while others focused on distributing kindness by way of happy face cards that could be coloured and written on by students. Later, these cards would be delivered with flowers to seniors in local retirement homes. The highlight of the SLC activities was the friendship ball pit that contained over 100 unique icebreakers in a small kiddie pool for complete strangers to use and get to know each other better.